Greetings! Happy Friday! There's only 2 more Fridays until Christmas! Oh no!! There's only 2 more Fridays until Christmas?! I have got to get the rest of my shopping done and cards sent out! 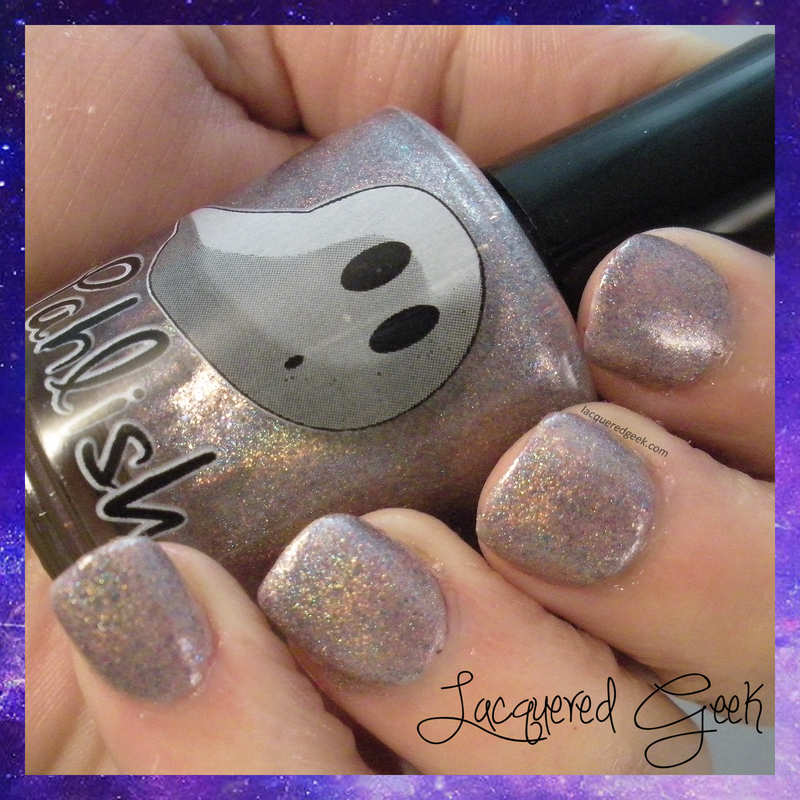 I want to share another gorgeous Bespoke polish from Pahlish with you today. 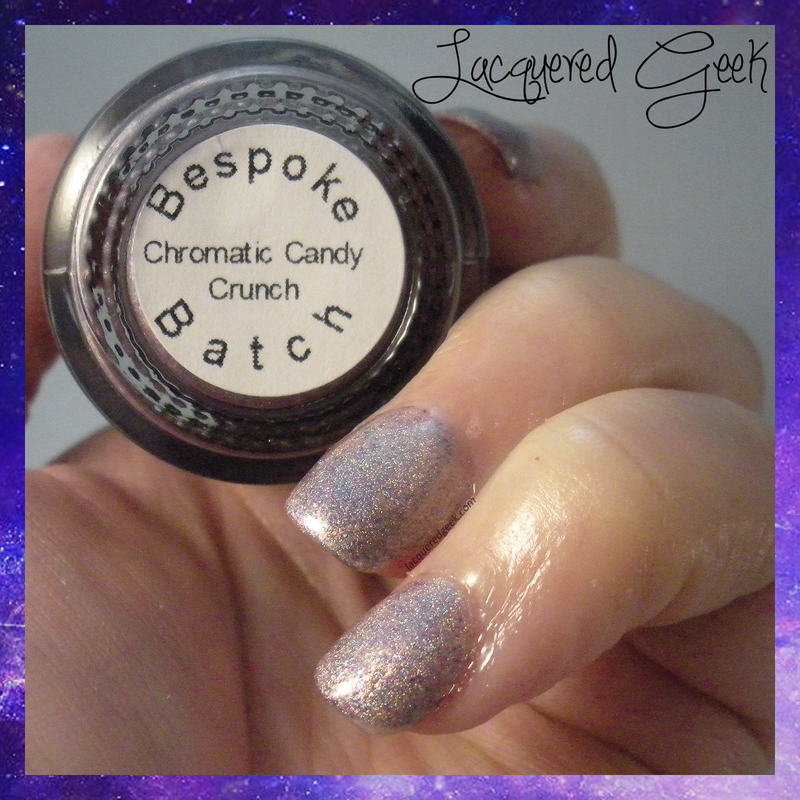 Chromatic Candy Crunch was one that I missed when it was first released, but luckily Shannon, Pahlish's creator, brought it back as a pre-order, and I snagged it! 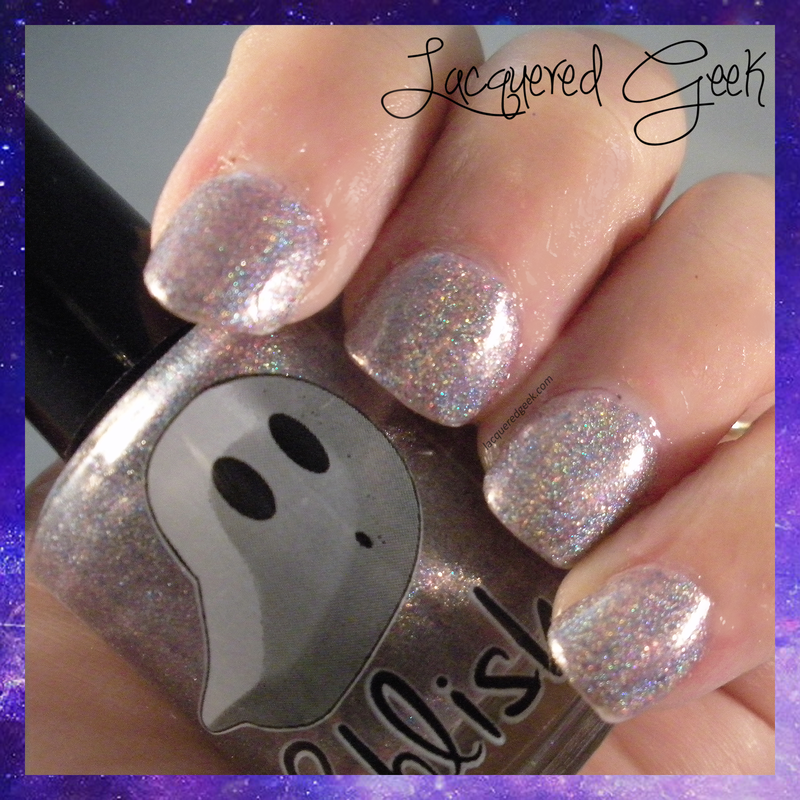 Chromatic Candy Crunch is a silver-lavender holo with multicolored flakies. It is quite delicate looking. I'm going to try layering it over black or dark blue to see if I like it more. Don't get me wrong... I love the color, but I don't know if I love it on me. It's so light, and my skin is so pale, that it washes me out a bit. The formula was typical Pahlish - very smooth and easy to apply. I used 2 coats of these photos with a top coat. You can purchase Pahlish polishes from their site, and restocks take place most Fridays at 7:00PM CST. You can follow their Facebook page to get the most recent updates on new collections and restocks! So have you had a polish lemming that once you got it, didn't agree with your skin tone?